Missouri Attorney General Chris Koster announced that a consent judgment has been obtained against Vortex Debt Group, and that the debt settlement firm will cease operations in the State of Missouri. Additionally, Vortex will refund all fees paid by its 300 Missouri clients within the next year. The Attorney General’s Office alleged that Vortex engaged in deceptive and unfair practices where they promised to reduce consumers’ debt, in return for a substantial fee, but then did not actually reduce the amount of debt owed. In fact, most of the time the consumers found themselves with more debt after hiring Vortex. “I urge Missourians experiencing debt problems to contact a not-for-profit consumer counseling agency or to seek competent legal representation from a consumer bankruptcy attorney in order to deal with debt-related issues,” Koster said in a statement. Unfortunately, this type of experience with debt settlements firms in not unusual. Many of my St. Louis bankruptcy clients report that they have experienced the same sort of problems before finally sitting down with an experienced St. Louis bankruptcy attorney. If you are in financial distress, do yourself a favor and sit down with a Missouri bankruptcy lawyer. 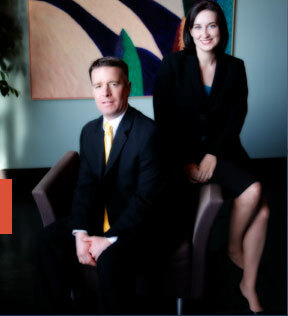 Most bankruptcy attorneys offer free consultations. It just makes sense to sit down with a professional when making decisions regarding your financial future. Bankruptcy can discharge most unsecured debt, including medical bills, credit card debt, pay day loans, and much more. We help consumers file Missouri Chapter 7 bankruptcy and Missouri Chapter 13 bankruptcy. Contact us today to set up a free consultation to discuss your situation.